Can you believe how FAST the year is flying by? I feel like we’ll blink and it will be December. As we start in on the 6th month of the year, I’m happy to realize I’m right on track with my baking goal of 42 projects in 52 weeks as project #21 is up this week (not sure what that will entail yet…) And if you follow this blog regularly or if you follow me on Facebook, you may have picked up that I’m in a busier than usual season of life right now. My husband and I are juggling a lot of plays all at once plus parenting and usually when this kind of season comes up, my self care disappears slowly or all at once. I put myself last in the long to-do list which means I never get there. This time around? I’m trying very hard to take a different approach. I’m beginning to believe that maybe if I take an hour for myself then the other 17-18 waking hours of the day (or less on days I’m lucky and getdecent sleep) I can actually get more done. 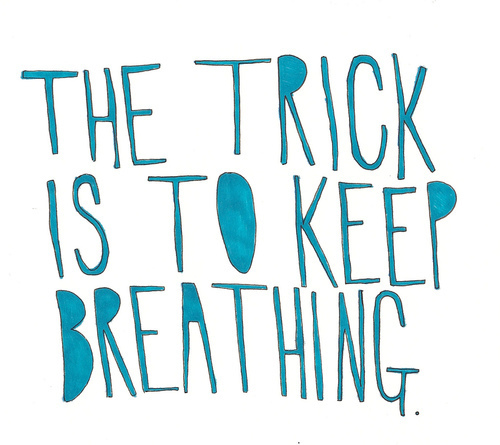 So the theme for the month is Breathe. It’s the most basic human thing but it is something we forget about and take for granted so often. Breathing can help recenter you, it is necessary to support your voice and be heard, it is an echo of the divine and the breathe of life, it can connect you to emotions, help you push through the hard or painful times, and as several movement and exercise instructors have pointed out: if you don’t do it you die. Hopefully taking some time to breathe each day will help me keep blogging regularly as I get through the next month or two.